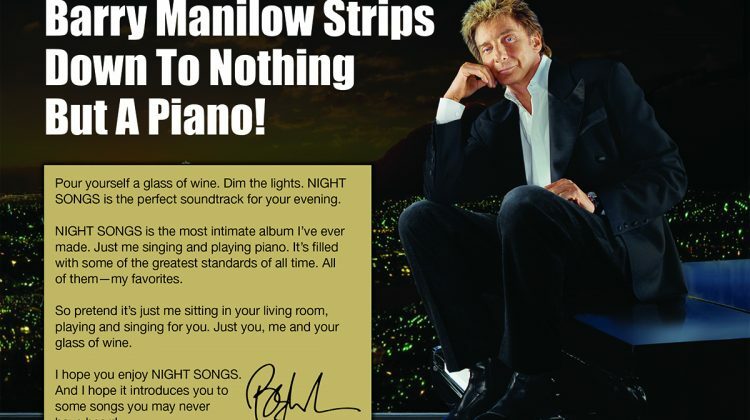 Manilow Strips Down To Nothing But A Piano…Worldwide! 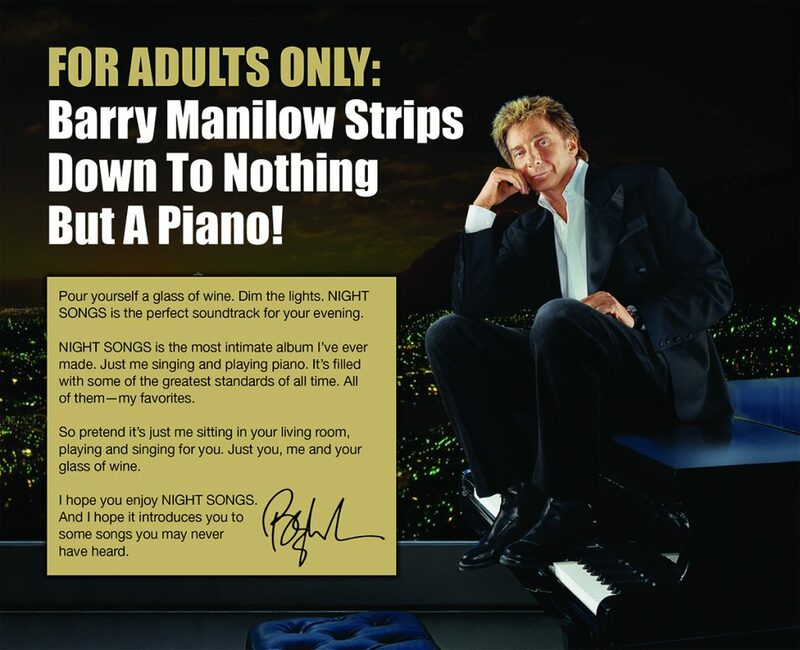 Four years ago this week, Night Songs, Barry’s intimate album featuring just him and a piano was released. The album debuted on the chart at number eight on the Billboard 200 chart and earned a Grammy nomination for Best Traditional Pop Vocal Album. It was only released on CD and vinyl in the US and Canada…until now! Night Songs is now available worldwide on your favorite digital service! Save it to your collection. Pour a glass of your favorite libation, kick up your feet, queue up Night Songs, and enjoy your weekend.